Giving biscuits to an angry person may sound strange, until you hear that they are an essential first bite of nutritious food. 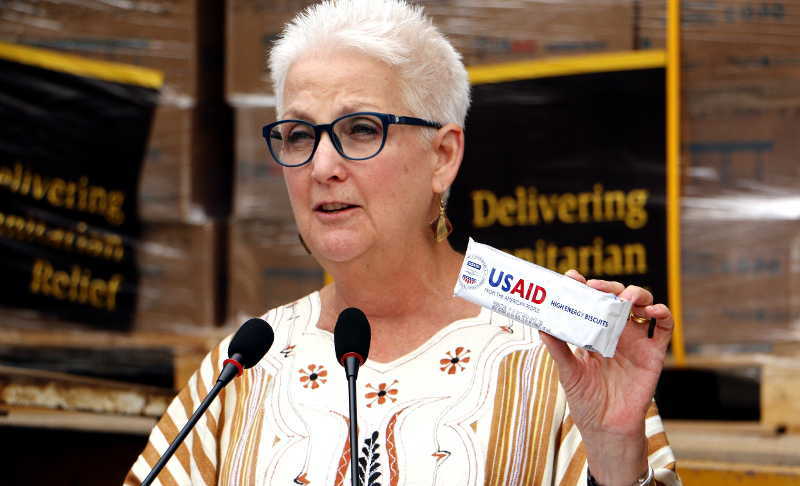 Well, the United States government through its mission in Kampala, Uganda yesterday donated 150 metric tones of high-energy biscuits to the World Food Programme to support the humanitarian agency’s efforts to feed refugees arriving in Uganda. During a handover event held at the WFP warehouse in Kisubi, WFP Representative & Country Director, El-Khidir Daloum said: “High-energy biscuits are the very first bite of nutritious food for most refugees arriving in Uganda after walking for days. “Most refugees are women who arrive weary and hungry, carrying young children. The biscuits are a fast, immediate and convenient means of assisting them at the border before the Government transports them to the transit centres,” said Daloum. According to a statement released by WFP, the donation will provide the essential first bite to an estimated 380,000 refugees representing 75 percent of WFP’s annual needs of high-energy biscuits. With each refugee receiving 400g of high-energy biscuits, it means that WFP anticipates to receive half a million refugees over the next 12 months. On August 15, 2017, the United Nations High Commission for Refugees (UNHCR) announced that the number of South Sudanese refugees currently living in Uganda had passed a million mark. The donation raises the U.S humanitarian assistance for refugees in Uganda in 2017 to US$187 million, making it the single largest donor to refugees in the country. Despite America’s generosity, UNHCR says that the refugees are encountering very difficult times arising from the shortage of resources for particularly food, education, shelter and healthcare. In May, the World Food Programme were forced to cut cereal rations for refugees. Across settlements in northern Uganda, health clinics are being forced to provide vital medical care with too few doctors, healthcare workers and medicines. The situation has also engulfed the citizens living around the resettlement camps as the policy allows refugees to share the same social services with locals. According to UNHCR, education of refugees has been impacted.